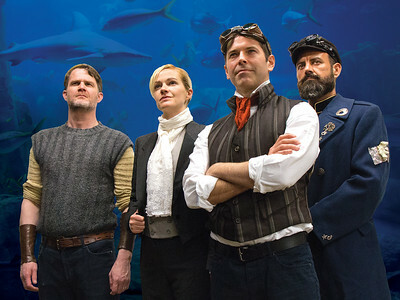 Marcel Jeannin, Suzy Jane Hunt, Brendan McMahon, and Serafín Falcón. 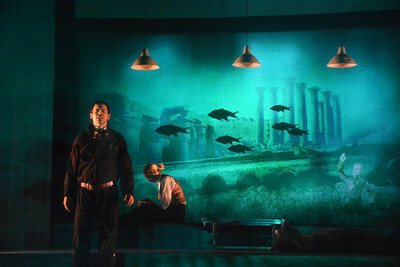 Photo by Rick Miller. 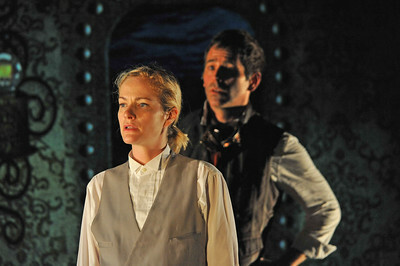 Suzy Jane Hunt and Brendan McMahon in TWENTY THOUSAND LEAGUES UNDER THE SEA at Asolo Rep. Photo by Gary W. Sweetman. 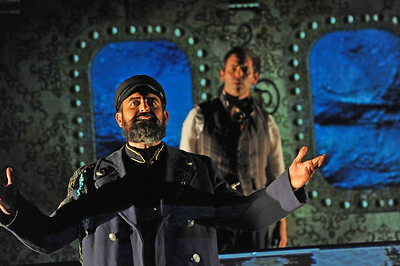 Serafín Falcón and Brendan McMahon in TWENTY THOUSAND LEAGUES UNDER THE SEA at Asolo Rep. Photo by Gary W. Sweetman. 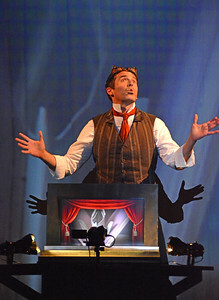 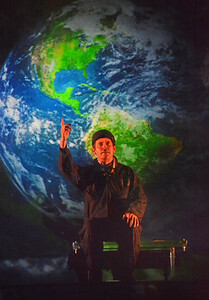 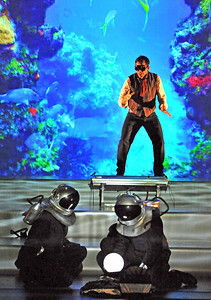 Brendan McMahon in TWENTY THOUSAND LEAGUES UNDER THE SEA at Asolo Rep. Photo by Gary W. Sweetman. 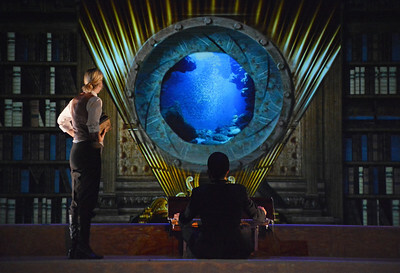 Suzy Jane Hunt and Serafín Falcón in TWENTY THOUSAND LEAGUES UNDER THE SEA at Asolo Rep. Photo by Gary W. Sweetman. 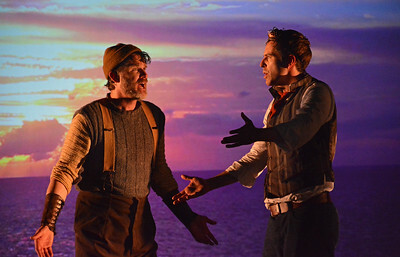 Marcel Jeannin and Brendan McMahon in TWENTY THOUSAND LEAGUES UNDER THE SEA at Asolo Rep. Photo by Gary W. Sweetman. 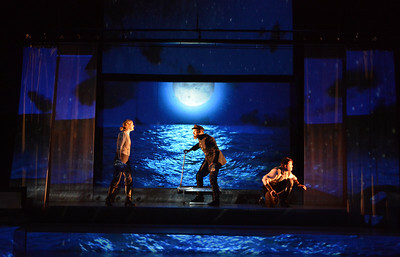 Suzy Jane Hunt, Serafín Falcón and Marcel Jeannin in TWENTY THOUSAND LEAGUES UNDER THE SEA at Asolo Rep. Photo by Gary W. Sweetman. 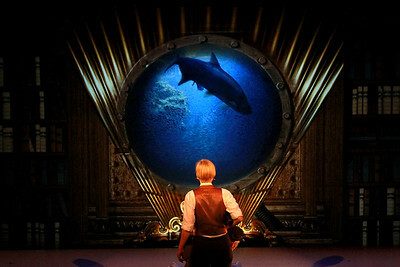 Brendan McMahon and Suzy Jane Hunt in TWENTY THOUSAND LEAGUES UNDER THE SEA at Asolo Rep. Photo by Gary W. Sweetman.